The statistics for brain injury are staggering. Approximately 450 Canadians suffer a brain injury every day. For Canadians under 40, acquired brain injury is the leading cause of death or permanent disability. Most people who sustain brain injury are never able to return to work. An injury to the brain can happen to anyone even while completing the simplest task; however, the leading causes of traumatic brain injury (TBI) are motor vehicle accidents and falls. Traumatic brain injury is a complicated condition that often has a significant and broad impact on the lives of the injured person and their families. TBI can affect a change in an accident victim’s personality, interpersonal relationships, work performance, and their ability to function in everyday tasks. People suffering from acquired traumatic brain injury following an accident often need significant help with activities they were previously able to do and typically, family members of TBI victims take on many caregiving and supportive functions. Adequate financial compensation for victims of TBI is crucial as they are commonly unable to work in the same capacity, if at all, and may require ongoing care and help with many essential activities. If you or a loved one acquired TBI in an accident, call the Injury Lawyers of Ontario (ILO), so that we can help you get the settlement you need as you work on recovering from this serious injury. Traumatic brain injury (TBI) can result from an external force, like a violent blow or jolt to the head. It may also result from damage to the skull or when an object penetrates the skull. TBI damage to the brain may vary; it may be limited to a point of impact or there may be widespread damage to brain cells. If an object penetrates the brain, the damage may be severe and there may be permanent damage to blood vessels, brain tissue and brain cells. TBI can cause bleeding, swelling and blood clots that may disrupt oxygen flow. There are various events that may result in traumatic injuries to the brain. Motor vehicle collisions – Motor vehicle collisions are the leading cause of TBI. Pedestrians, motorcyclists and cyclists are at a particularly high risk of head and brain injury resulting from an accident. Slips, trips and falls – Falls are another leading cause of TBI. Some of the most common situations are when people slip on icy or uneven surfaces, fall down stairs, slip in the bathtub or fall from ladders. Older adults and young children are particularly at risk. Physical assault – Domestic violence, child abuse, fights and gunshot wounds can result in brain injuries. Forceful shaking of an infant may cause damage to brain cells, termed ‘shaken baby syndrome’. Sports injuries – Sports involving body contact, high impact and/or extreme sports sometimes result in TBI. Some of the common sports in which these injuries may occur are: soccer, hockey, boxing, football, rugby and skateboarding. Explosions or combat – Military personal sometimes experience TBI as a result of explosive blasts. Severe blows to the head, penetrating wounds or falls may also cause TBI. Symptoms of TBI may be immediately apparent or they may take hours to develop. TBI may result in bleeding in the layers surrounding the brain and in the brain tissue. Bleeding and swelling may lead to death if left untreated. Newer technologies to relieve intracranial pressure have significantly reduced the number of fatalities. If you sustained a severe blow to the head or are experiencing some of the symptoms of TBI following an accident, you should seek immediate medical attention. Injured persons should not be moved if possible; call emergency services if you suspect TBI. Mild brain injury is associated with a loss of consciousness and/or disorientation and confusion of less than 30 Minutes. 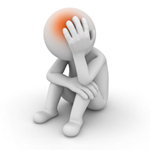 A concussion is a mild form of traumatic brain injury. Although its symptoms are less debilitating than severe brain injury, a person with mild brain injury may experience serious symptoms with a significant effect on themselves and their family. Because the symptoms of both forms of brain injury, mild and severe, affect our ability to function normally, TBI can significantly impact the life of an injured person following an accident. Mild forms of traumatic brain injury or concussion often heal on their own, but the amount of recovery time can vary greatly from individual to individual. Severe forms of TBI usually demand long-term rehabilitation to achieve maximum functioning and in some cases, individuals remain unresponsive and unable to function independently. Recovery for brain injuries that are treatable is dependent on prompt medical treatment and adherence to a doctor’s instructions for rest and follow-up care. Initial hospital care - Immediate medical treatment after an accident is vital to assess the extent of brain damage and begin treatment. A trauma team will often initiate resuscitation actions, monitor the patient’s vital functions and respond appropriately if there are life-threatening changes. The medical staff will focus on preventing further brain damage from swelling and bleeding. Surgery may be required to remove blood clots, relieve pressure inside the skull or to repair skull openings or fractures. Once stabilized, the injured person will be monitored for changes to bodily and physiologic functions including infection and pain. Long-term care in a medical facility may be required for patients with severe symptoms. Unconscious patients may require breathing apparatus, feeding tubes and catheters. If the patient is experiencing seizures, anti-seizure medication will likely be administered. In such cases, the patient’s vital signs will be constantly monitored. Rehabilitation for traumatic brain injury patients may include relearning how to perform essential tasks like walking and speaking. This type of treatment will likely be given in a treatment facility, but may continue through out-patient care involving a physical therapist. Medical staff including psychologists and/or therapists will often educate family members on what to expect and how to help, in terms of functioning and treatments. In recovery at home, even patients with concussion and mild brain injury are recommended to rest and avoid strenuous activities, both mental and physical, for an extended time. Injured persons will likely not be able to work, attend school, or participate in many functions for whatever time is advised by their doctor. When an accident victim suffers traumatic brain injury, their life may be severely impacted for months or years after their initial treatment. In cases of severe traumatic brain injury, the shorter the coma or post-traumatic amnesia, the better the prognosis. For patients who require physiotherapy and/or speech therapy, the recovery process will require longer and more extensive treatment than for patients who suffered no loss of physical function. Loss of cognitive function is often experienced by persons with mild to severe TBI. These effects may be debilitating and may include: difficulty communicating orally and in writing, attention deficit, memory problems, poor judgement, slowed mental processes and difficulty in multi-tasking. TBI sufferers may frequently experience dizziness and headaches for a long time after the accident. Personality changes are often associated in victims of traumatic brain injury. The injured person may experience long term depression and/or inappropriate behaviour. Marital and family relationships and friendships may also suffer as a result of these personality changes. Employment is usually impacted while the injured person is recovering. In many cases, they cannot return to work until they have fulfilled the requirements of rest and treatment prescribed by their doctor. Even after a victim feels physically recovered, diminished cognitive functions and/or personality changes may impact their ability to do their job or have gainful employment. The only complete cure for acquired brain injury is prevention. While some risk of injury is outside our control, such as collisions resulting from another careless driver, there are many safe practices that substantially reduce our likelihood of acquired brain injury. Accident victims who sustain acquired brain injury present a range of symptoms associated with the severity of their injury, and the courts assess each case individually in a determination of the appropriate compensation. In Lines v. Gordon et al. and ICBC, 2006, Mr. Lines sued for damages for mild traumatic brain injury resulting from a car accident. The collision occurred while Mr. Lines was making a left-hand turn, when Mr. Gordon, who was driving a company van, attempted to pass him on the left and crashed into the driver’s side of Mr. Lines’ car. Mr. Lines’ symptoms of TBI include chronic headaches, difficulty concentrating and fatigue. A neuropsychologist gave testimony that Mr. Lines will probably remain competitively unemployable given the persistence of symptoms 3 ½ years after the accident. The court awarded Mr. Lines damages in excess of $3.3 Million, which included $1.8 Million for future loss of income, $400,000 for loss of past income, 225,000 in general damages (for pain and suffering, and $900,000 for cost of future care. In Gordon v. Greig, 2007, Mr. Gordon sought damages for catastrophic injuries he suffered as a passenger in a rollover accident that occurred near Lindsay, Ontario. Negligence on the part of the driver was not contested; the driver was impaired while driving at excessive speed coming into a sharp curve when he lost control of the vehicle. In the multiple rollovers that ensued, Mr. Gordon, who was not wearing a seatbelt at the time, was ejected from the vehicle. He sustained traumatic brain injury and upper spinal injury, which have resulted in physical impairments as well as various psychological symptoms including depression, anger, poor judgement and difficulty concentrating. Mr. Gordon’s enjoyment in life has been severely affected by his injuries. The trial judge awarded Mr. Gordon total damages of $11,369,525, which included $8,646,900 for cost of future care and attendant care, $1,871,600 for loss of future income, and $310,000 in general damages for pain and suffering. In January 2011, a collision between a car and a Peterborough snow plow resulted in severe brain injury and multiple fractures to the car passenger. The accident happened when a County of Peterborough plow ruptured a coolant hose then lost electrical power, which resulted in the hazard lights to discontinue flashing. Shortly afterwards, the car in which Ms. West was riding rear-ended the disabled snow plow. The catastrophic brain injury that Amy West, the injured passenger, sustained in the collision, left her unable to perform essential functions such as speaking and eating, and she will likely require 24 hour attendant care for the remainder of her life. Ms. West’s parents settled an accident benefits claim against their insurance company in 2012 for $1.4 Million. They have also initiated a suit against the County of Peterborough and snow plow driver for damages. The two defendants subsequently filed a third party claim against the manufacturer of the snow plow, Navistar Canada Inc., which was upheld in a 2014 trial, Amy West, by her Litigation Guardians David K. West and Kathryn J. Firth, David K. West, and Kathryn J. Firth v. Kyle R. Goldie, Steven M. Gibson, and County of Peterborough, 2014. The judge allowed the third party action, which is expected to delay the West’s civil suit against Peterborough County by one year, because it was believed that the benefits claim already received by Ms. West’s family will provide the significant funds needed for her care until the civil suit is resolved. Traumatic brain injury is a complicated prognosis and its impact can be equally complicated and far reaching. 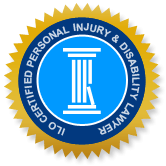 If you or a family member suffered TBI from an accident, call an experienced personal injury lawyer who understands the effects of TBI and can correspondingly gather vital evidence such as medical assessments, to substantiate a claim for optimal compensation. An ILO brain injury lawyer has the expertise to assess the facts of your case and advise you on the strength of your claim in a negligence suit. You may be entitled to receive financial compensation for lost income (past and future), medical expenses, pain and suffering, home maintenance or housekeeping benefits, and/or family expenses. Our dedicated staff can help you and your family get the financial aid you need while you are struggling with the effects of and recovery from this serious condition. Call Injury Lawyers of Ontario today for a free consultation.